When Las Vegas showgirl Debora Flores Narvaez missed the opening of "Fantasy" at the Luxor on the biggest night of her career — a performance with "Thong Song" singer Sisqo — friends knew something must be terribly wrong. Their worst fears were realized a month later when the 31-year-old dancer's dismembered body was found in cement-filled tubs stashed inside a sealed-up closet at a vacant downtown home. 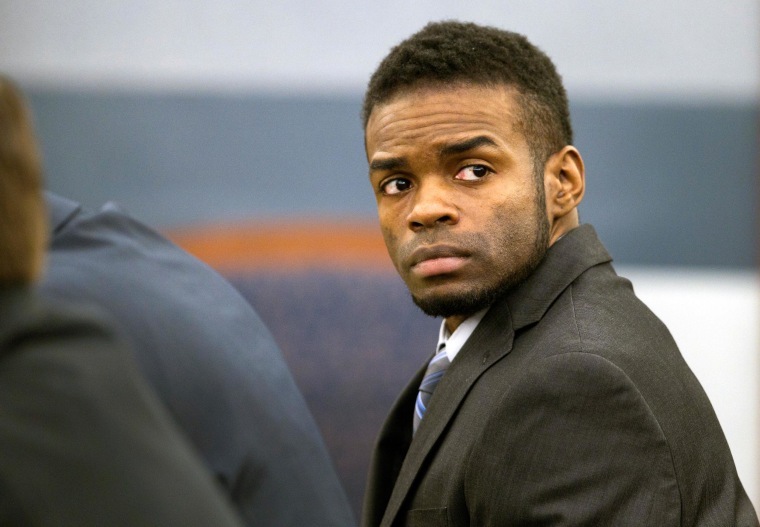 Now, a jury is hearing evidence that will determine if Flores' boyfriend Jason 'Blu" Griffith — who danced in the Cirque du Soleil show "Love" at the Mirage — is convicted of first-degree murder in Flores' gruesome death. Griffith has pleaded not guilty and contends that he was defending himself from a violent and volatile woman when she was killed in 2010. Prosecutors, who will continue putting on their case Monday, have painted a far more cold-blooded portrait of a two-timing brute who who choked his glamour girl, suffocated her with a plastic bag and sawed off her legs. One of their witnesses has already testified that Griffith, 35, blithely told her that Flores' remains were in a blue plastic tub that he wanted to store at her house. "He just said, 'It's Debbie,'" Kalae Casorso told jurors last week, according to the Associated Press. "I was shocked. Kind of, my head started to spin. I couldn't comprehend it. "I think he said something to the effect of, 'It's not what you think.'" Flores' body was found and Griffith was arrested after his roommate, Louis Colombo, began cooperating with police in exchange for immunity. He has told investigators that he watched Griffith wrap his hands around Flores' neck during an argument, authorities say. He claims he left and returned to find the woman dead. "I was shocked. Kind of, my head started to spin. I couldn't comprehend it." Griffith then broke the body out of the cement block, cut the body in half and distributed the remains in two smaller tubs, authorities alleged. Colombo is expected to testify for the prosecution, which admits that the couple's relationship was stormy. Griffith's lawyer said that while the evidence — including crime-scene photos — may be grisly and shocking, that doesn't mean his client is guilty of murder. "He was scared and he was afraid that she was violent," attorney Jeff Banks said in his opening statement.